This is a late flowerer and cropper referred to in the trade as a 'Cox Plus'. It has as much flavour (if not more) than 'Cox's Orange Pippin' and better acidity, which it keeps in storage. Cox famously go woolly quickly in storage, whereas the flesh of 'Chivers Delight' remains firm and nutty. This fell out of commercial favour because of its colour irregularity. If the sun is on it, the fruit goes red, but it will not colour up on the shady side. This does not affect the flavour but makes them difficult to sell. Nothing has the same richness of colour as 'Spartan', a lovely deep plum red, with almost bright white, contrasting flesh. It's a beautiful apple, which stays late on the tree and makes a fabulous eater with very juicy fruit. It's the one I use at Perch Hill for Christmas wreaths and, being a good storer, is widely available late in the year. A fabulously aromatic, peppery, almost spicy apple with a softer nuttiness than you get with the similar-flavoured 'Egremont Russet'. This variety is a bit prone to scab, so is best grown on its own and certainly away from very scab-prone varieties such as 'Crispin'. A famous apple with a wonderful nutty, woody texture and a very characteristic taste, floral and heady, so you can almost smell the blossom. It stores well, with the flavour deepening to honey. This is a very unusual apple, difficult to find but, in Henry's view, worth the effort. It eats like a 'Greensleeves' early on, but you can store it until April when the flavour morphs into pineapple. A light, crispy, full-of-flavour apple, lovely and crunchy straight off the tree. This is the one 'Golden Delicious' aspires to be, with excellent flavour in a beautiful pale yellow fruit. This is one of the first to harvest (in August), so Henry loves it for reminding us what we've been missing all summer. If we get a sunny July and August, the redness leaches from the skin into the flesh. Then if you press it, you'll have a beautiful pale pink juice. A rich, creamy apple with a really strong flavour, one of the original varieties brought over by the Normans. It's just about surviving in the UK, but you don't see it often, apart from in the Wye Valley where it's usually pressed into juice. A great all-rounder apple – a good cooker early on, it also presses well and mellows the later you leave it, with the acidity dropping away, so it can be eaten as a dessert apple from the store or tree. It's one of the few varieties where you can leave the fruit on the tree, start harvesting in August and carry on until the end of October at least. It performs well whatever the weather and is often a challenger for the largest fruit. Henry's final recommendation is this wonderful bittersweet cider apple, still abundantly on the tree, until the end of November. The tree's appearance is unique – "there's a Grand Dame feeling about them, which reminds me of my grandmother," he says, "knotted and gnarled in the winter and very late to blossom in the spring. You think they're dead and then out the flowers come towards the end of May". The fruit is small and very acid, essential tannin for flavouring cider.They are pruned to weep in the Aspall orchards, with graceful branches arching down almost to ground level. You can get right in underneath and be enclosed in an apple den. 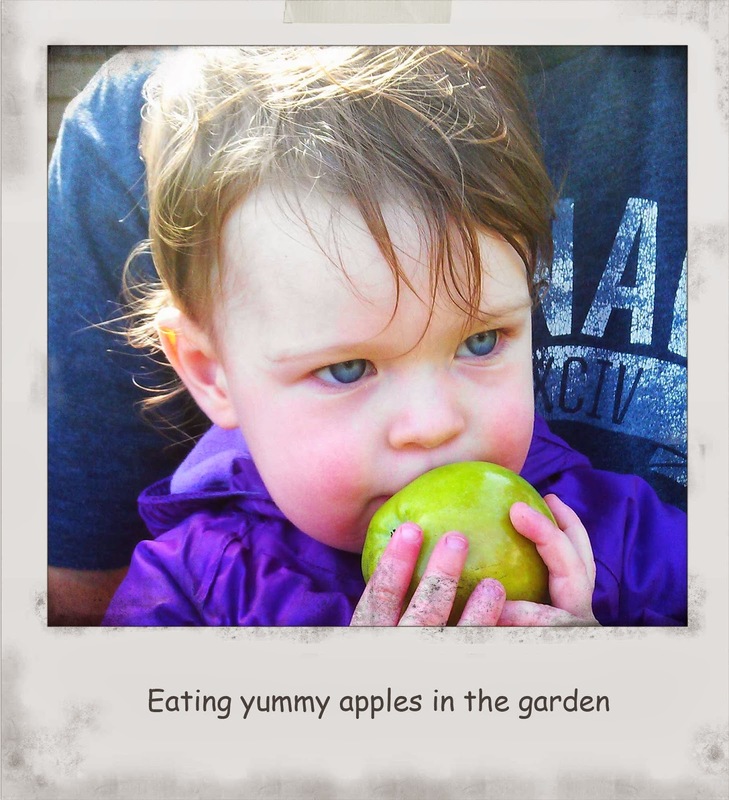 To read more about apples and lots of other interesting gardening facts visit The Telegraph. Once your apple tree is established, remember to keep it pruned to make sure it stays healthy, looks pretty and provides the best possible crop. To read all about how to do that then click here. If you have a lot of apples or your little one isn't big enough to eat apples straight off the tree, turning them into a yummy puree which can also be frozen is a great idea.